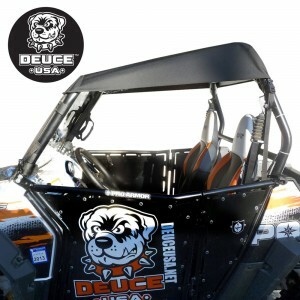 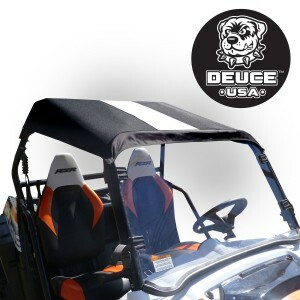 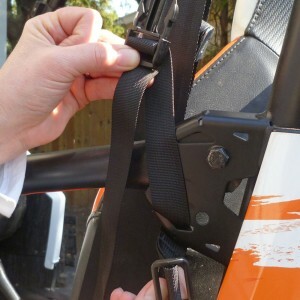 Offers more protection on back and side than the Deuce USA Bimini Racer. 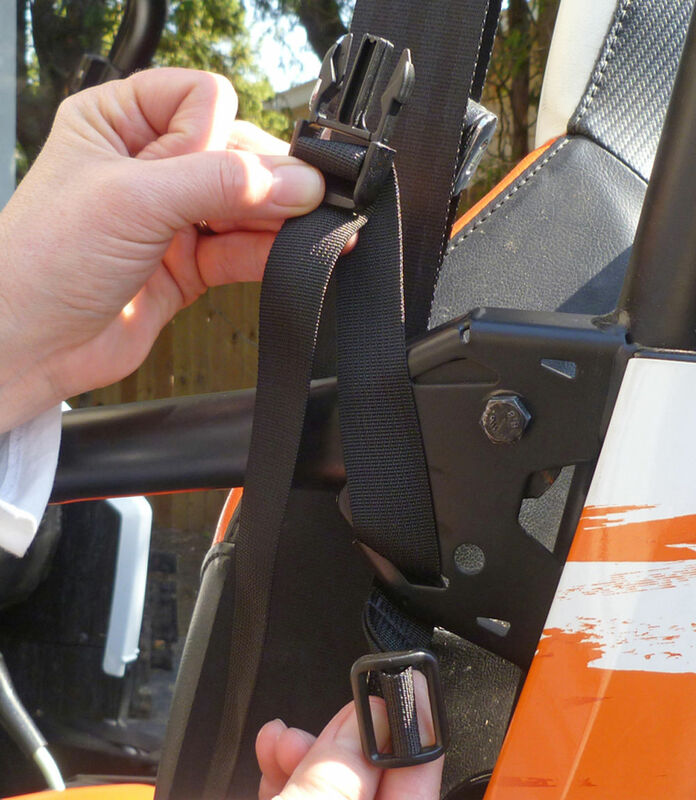 Quick & easy installation with (4) Fastex fastener forks and velcro one wrap hook/loop. 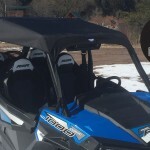 For use with or without windshields. 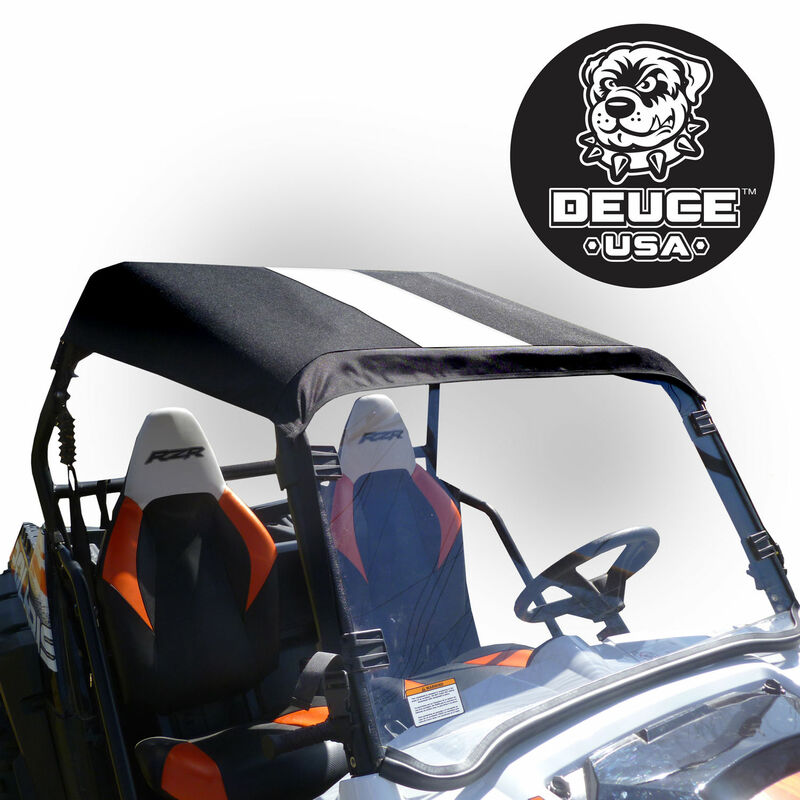 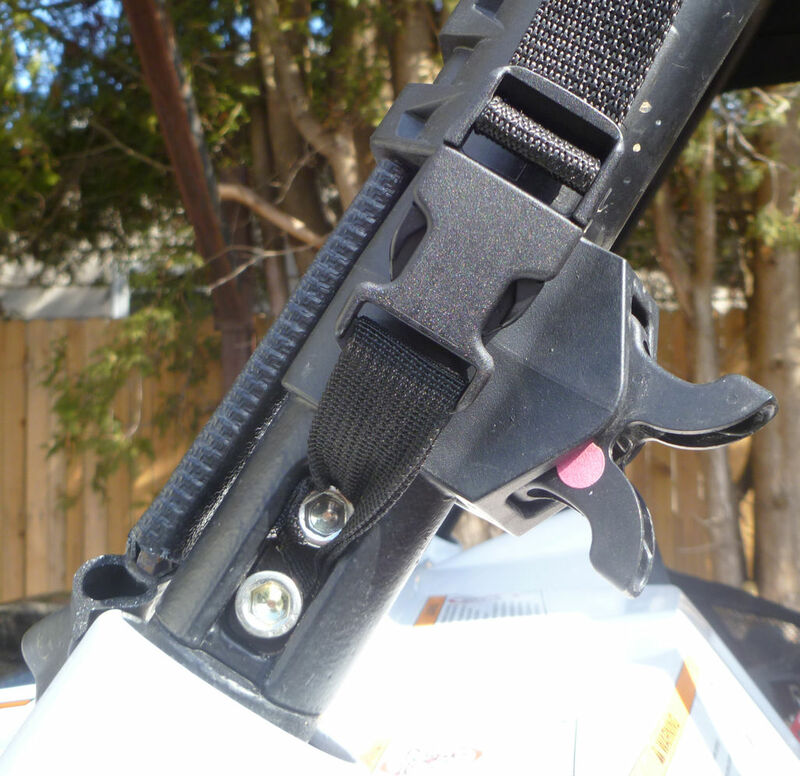 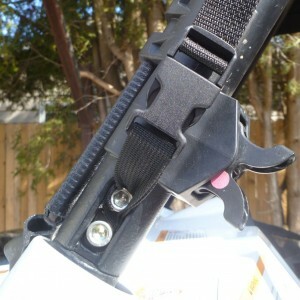 Works with Deuce USA 1680 Ballistic Nylon Rear window units. 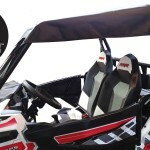 Sold separately.